I like Cobblers of any style. 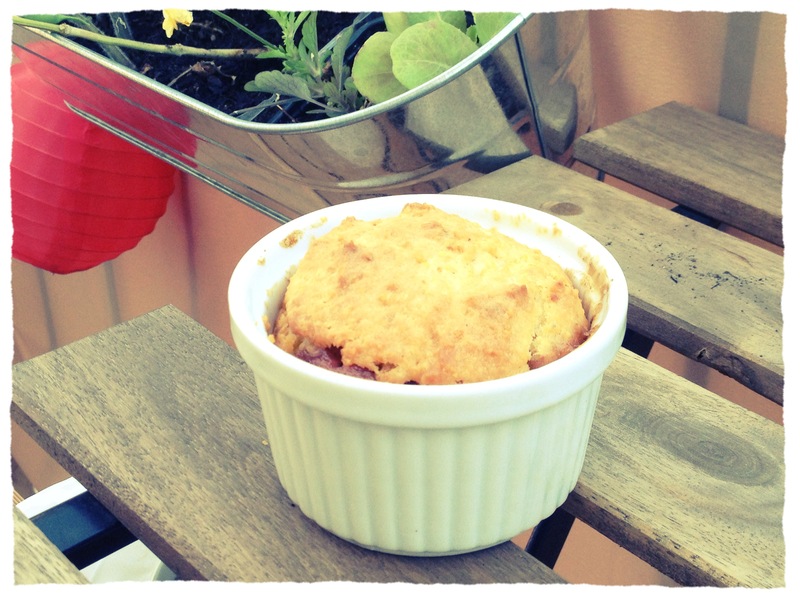 Despite I have no idea, why this one is called "Johnny Cake" Cobbler (is a Johnny Cake something I should know? As so often I am just desperate when it comes to american baking knowledge) - in the end i don't mind because I liked it. It is easy in the making, as all cobblers, and great in taste, just the right mix between fruit and dough. 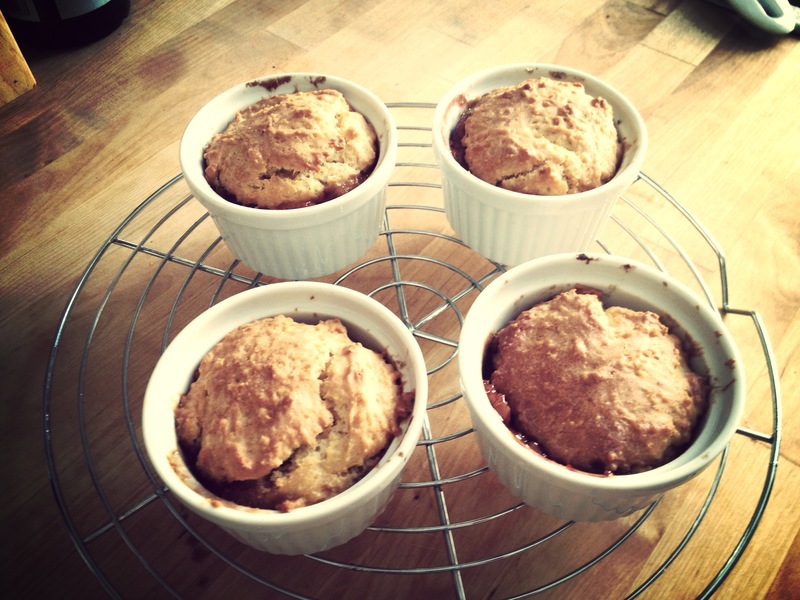 I went almost exactly with the recipe (used only peaches, no plums) and made four individual cobblers in soufflé molds. They were served with some mango sorbet leftovers (not in the pictures, sorry). For the recipe, have a look at p. 389 in Dorie Greenspans book. That would be good with the mango sorbet! I added some peach ice cream to one serving of mine! It was a great recipe indeed, and it's so versatile: you can use any fruit you love. PS: Many greetings from "your neighbour": Switzerland.